Can One Convert From Chapter 7 to 13 Bankruptcy? If your debts are running high and your income isn't enough to meet your expenses, you can petition for bankruptcy protection. In a chapter 7 bankruptcy case, a court-appointed trustee seizes your nonexempt assets to pay your creditors. A chapter 13 bankruptcy allows you to keep your assets, but you partially repay your creditors through a series of monthly payments over a specified period of time. 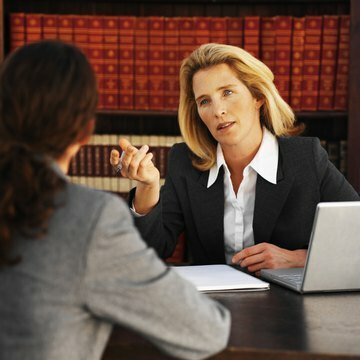 You can convert from one type of bankruptcy case to the other, depending on the circumstances. If you don't meet the requirements of the means test for a chapter 7 case, you may be able to convert it to a chapter 13 bankruptcy. The guidelines for the means test came into effect with the 2005 bankruptcy reform law. According to the guidelines, if you earn more than half the median nonexempt income for families the same size as yours in your state, you won't qualify for a chapter 7 bankruptcy. If you don't qualify, the court will dismiss your case, or you can file a motion to convert the bankruptcy to a chapter 13. If you're able to meet the terms of a chapter 13 repayment plan, you may voluntarily convert your case from a chapter 7, which avoids seizure of your property. The federal bankruptcy law allows an automatic, one-time conversion from chapter 7 to chapter 13. You must have sufficient income to carry out a repayment plan, which partially reimburses creditors holding unsecured, dischargeable debts. If you are unable to meet the terms of a repayment plan, the court will dismiss the bankruptcy, and your creditors will again have the right to sue you for your debts. If you attempt to convert a chapter 7 a second time, the court has the authority to deny your motion. To convert a bankruptcy case, you must file a motion to convert with the court. This motion sets out your reasons for the conversion. The law requires you to give advance notice of the motion to creditors; you must file a notice of conversion at least 21 days before filing the motion and serve the notice on all creditors listed on the original chapter 7 bankruptcy petition. There is no filing fee for the motion, which must be accompanied by proof of service, certifying that you furnished the motion to creditors and any other interested parties. When you furnish the motion to the court, you must also supply a proposed order. If the court approves the motion and allows the conversion, the clerk completes the order, the judge signs it, and it's entered into the record. You must then draw up your repayment plan. After you submit the plan to the chapter 13 trustee, he holds a meeting of your creditors, who can object to the plan. Once the court approves the repayment plan, you will have from three to five years to complete payments to unsecured creditors; however, you must pay certain debts, including tax debts and child support, in full. Does Every Creditor File a Proof of Claim for Chapter 13? A Chapter 13 bankruptcy allows a burdened debtor to escape collection actions and lawsuits brought by creditors. A court trustee sets up a repayment plan in which the debtor repays a percentage of his outstanding debts to all creditors who have filed a Proof of Claim form. Important rules in the bankruptcy code govern who needs to file a Proof of Claim to obtain repayment from the debtor.